On Friday, March 23, 2018, the agile community experienced a tremendous loss. Mike Beedle, Agile Manifesto signer and creator of Enterprise Scrum passed away, leaving behind a wife and 3 young children. We at the Agile Uprising are saddened by this loss. Mike’s passing will leave a void that cannot be underestimated. 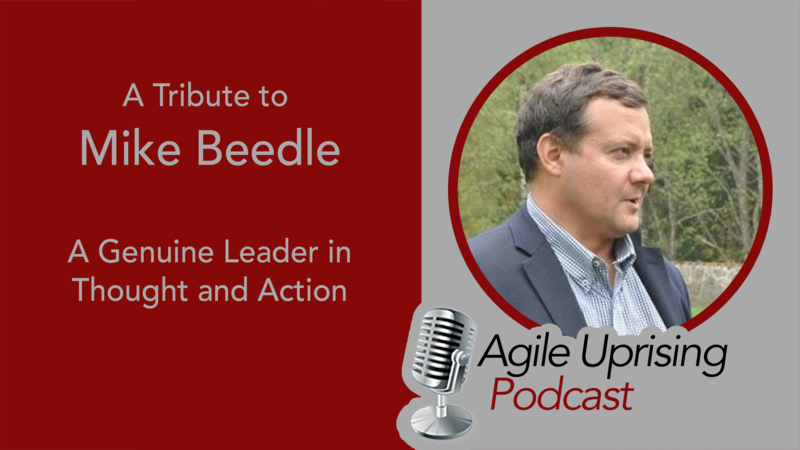 We honor Mike Beedle with this rebroadcast from our Agile Manifesto author review. Mike shared his story as one of the very first adopters of the Scrum framework and his early involvement with Ken Schwaber and Jeff Sutherland. Mike, if you’re listening from the Great Stand Up, thank you for all you’ve done.